I love hummus. 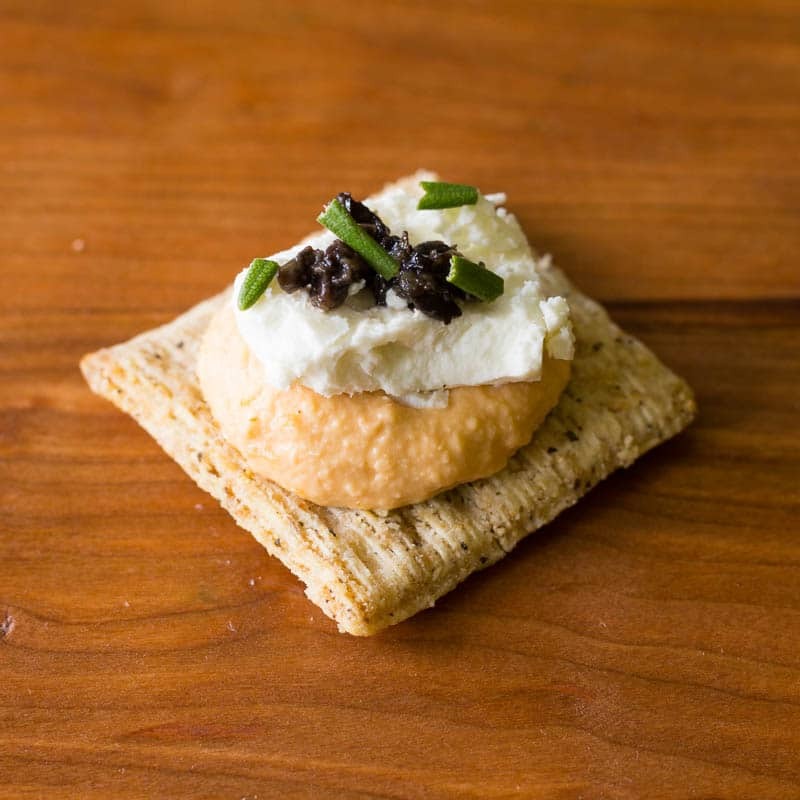 I love how you can whirl it up in just moments and dig in with a tasty cracker. I used to eat store-bought hummus all the time, but once I discovered how to make it myself, there was no turning back. I make it in all sorts of flavors, from jalapeno, to olive, to roasted red pepper, and beyond! 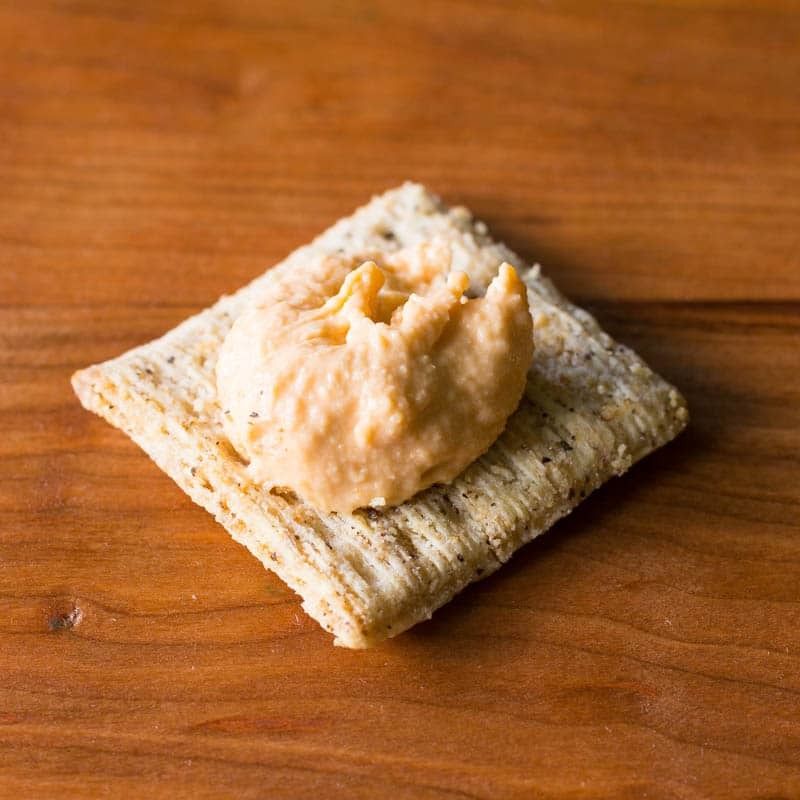 Today’s roasted red pepper hummus recipe is perfect for topping crackers like the new TRISCUIT Crackers available at Walmart. 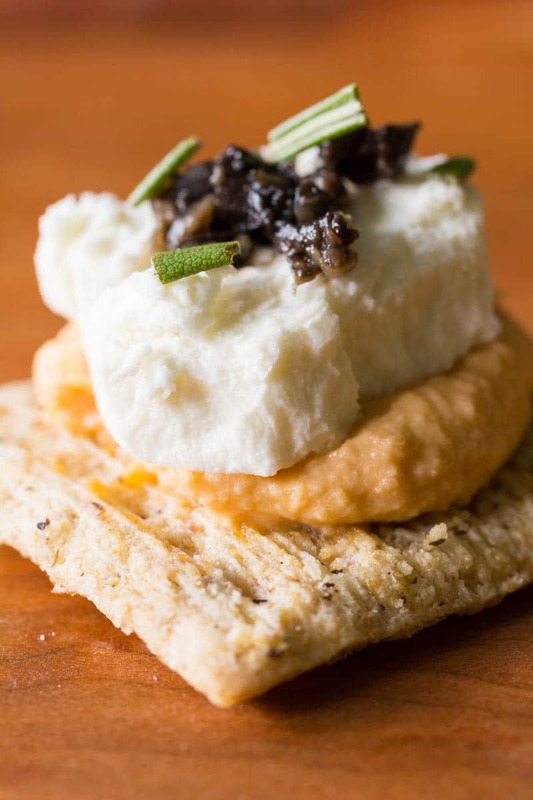 I’ll show you how to make one of my favorite cracker topping combinations using TRISCUIT Mediterranean Olive Crackers, roasted red pepper hummus, goat cheese, chopped olives, and fresh rosemary. 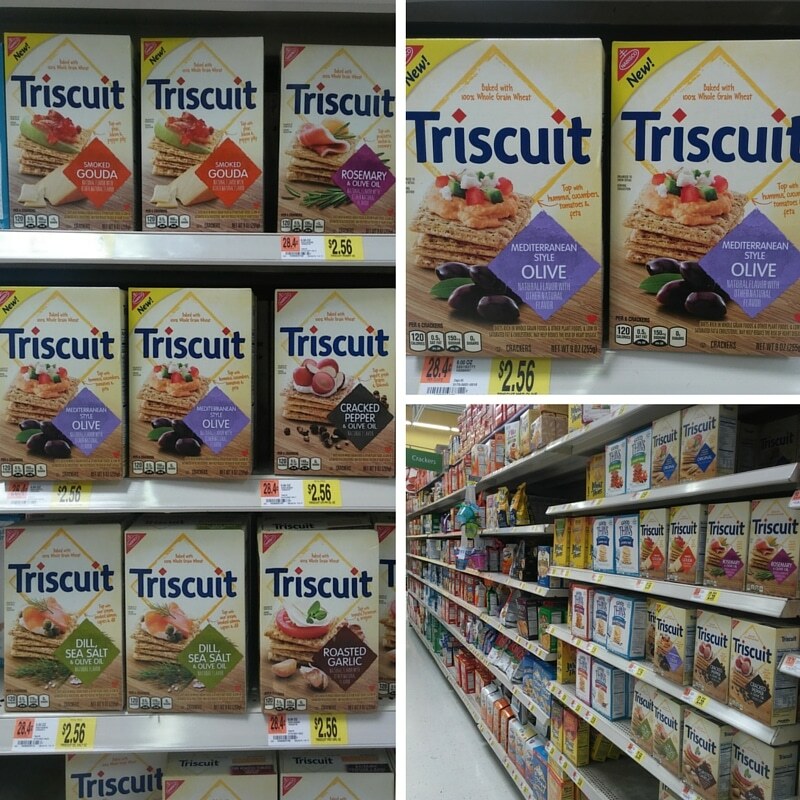 You’ll want to try out all the exciting new and original flavors of TRISCUIT crackers. 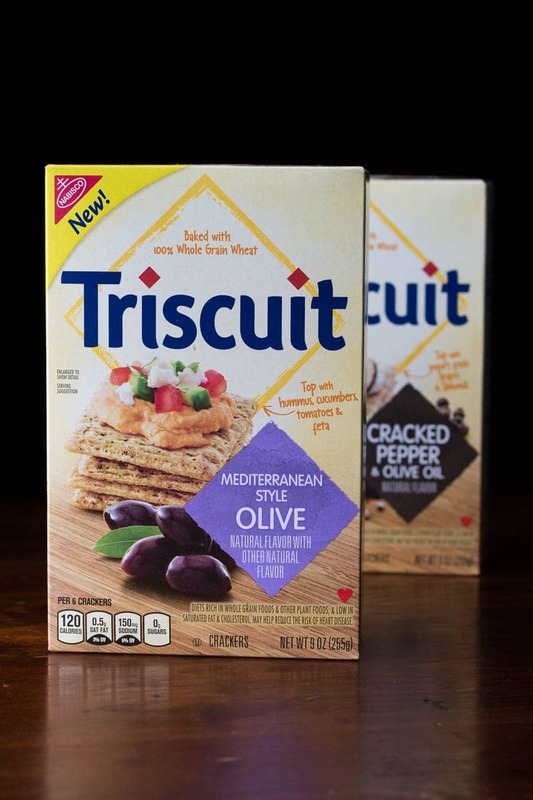 The traditional flavors include TRISCUIT Original Crackers, TRISCUIT Reduced Fat Crackers, TRISCUIT Hint of Salt Crackers, and TRISCUIT Cracked Pepper & Olive Oil Crackers. New flavors include TRISCUIT Mediterranean Olive Crackers (used for this tutorial), TRISCUIT Smoked Gouda Crackers, and TRISCUIT Sriracha Crackers. You can find all of them on the cracker aisle at Walmart. Grab several flavors so you can enjoy different combinations! Always rinse the canned garbanzo beans until they are no longer frothy. Fresh lemon juice is best, but bottled lemon juice will also work. I typically use sea salt, but you can play around with different salts (smoked salt, Himalayan salt, etc.) for some interesting new flavor notes. The consistency of the hummus is up to personal preference. I like mine a little softer, just firm enough to hold its shape, because when you put it in the refrigerator it will get more firm. Make this fresh and delicious roasted red pepper hummus recipe with only 5 ingredients in just 5 minutes! It's the perfect appetizer, snack, or side dish. Combine the first 5 ingredients in a food processor and blend until very smooth, scraping down the sides of the container as needed. 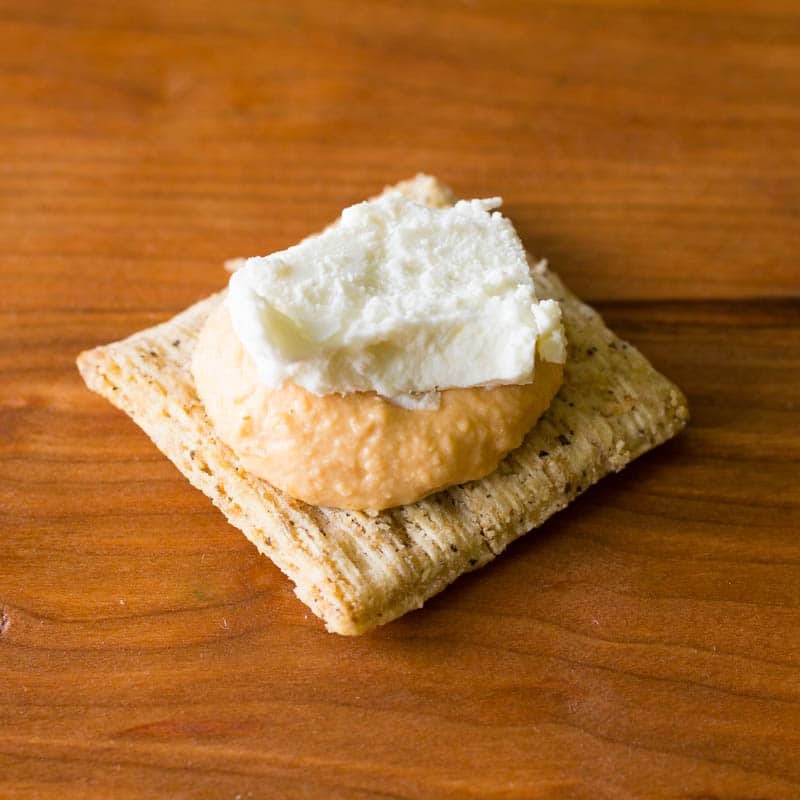 Here’s how you make the cracker combination pictured. 1. Place a cracker on a plate or tray. 3. Add a bit of goat cheese. 4. Sprinkle with chopped olives and finish with a garnish of fresh rosemary. 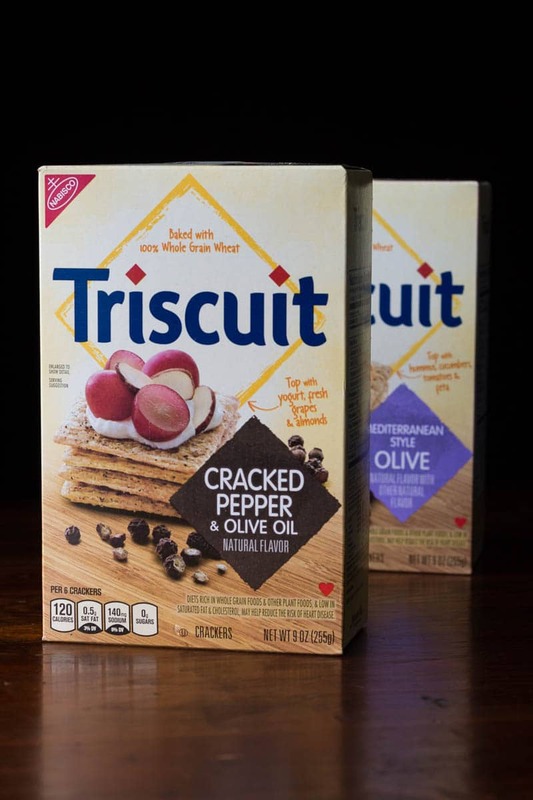 Get inspired with these TRISCUIT cracker ideas, then follow TRISCUIT on Facebook, Twitter, Pinterest, Instagram, and YouTube. I love all of the options with hummus! And my kids (who are just 2, 5, and 6) are huge fans of hummus as well– which always seems to surprise people 🙂 I love the addition of goat cheese and olives! Yum! I already love Triscuits, but with a little hummus and goat cheese? Forget about it. They have put a new spring in my step with some of their new flavors. Hummus is one of our favorite snacks. Your Roasted Red Pepper hummus looks absolutely delish. 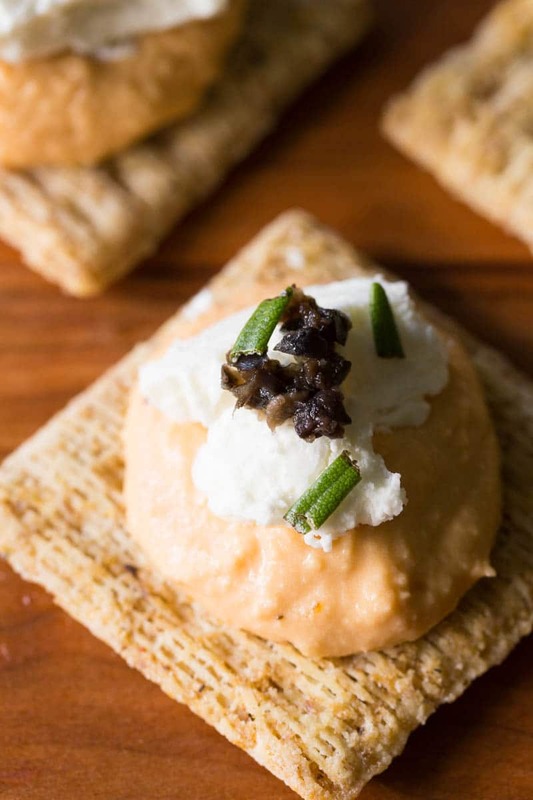 Red peppers have such a full flavor — but paired with the goat cheese and Triscuit Crackers? Yum! This looks and sounds wonderful. I’ll have to book mark it for our teenage daughter. She has been trying to live a vegan lifestyle. Which is really hard to . She is always on the look out for new recipes to try. 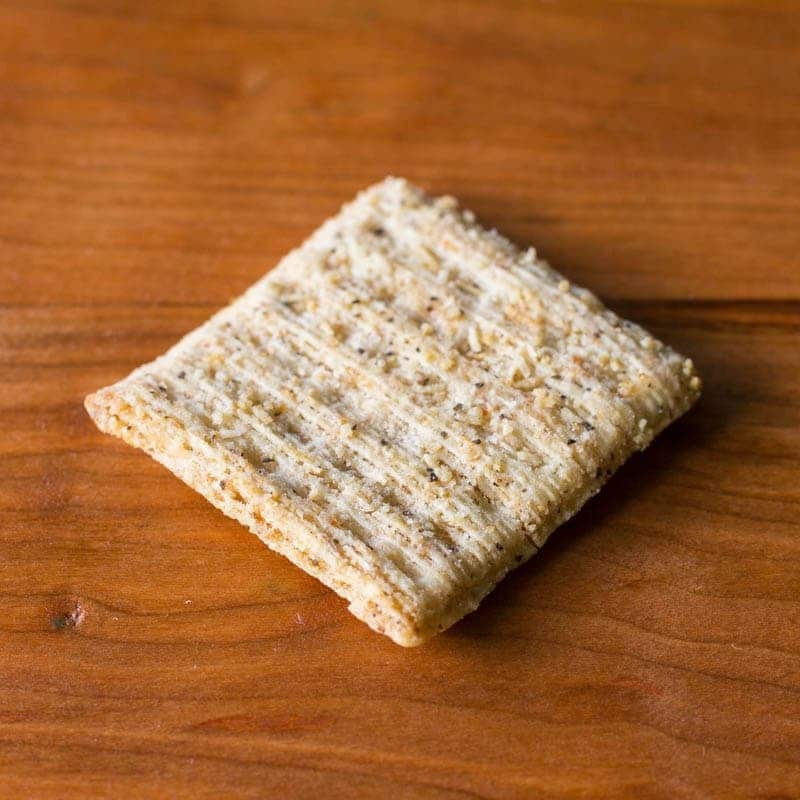 I always thought that Triscuits were for “adults” but once my kids tried them it is now their favorite crackers. I wonder if they would like Hummus on them? Looks like a great recipe. Usually we put cheese or peanut butter. I have been trying to perfect a recipe for hummus. So far, I’ve bombed. Maybe the missing red peppers are key to solving this untasty dilemma of mine. I love how Triscuit has so many different varieties of flavors. Great for making the perfect snack.